Zeus is a young bully mix about 2-3 years of age rescued from MDAS. He is very obedient and responsive to people. He likes to shower every person he meets with lots of licks and kisses. He has learned sit, down, stay, place, come, leave it, drop it, and how to walk nicely on leash. He’s an active boy who will need someone to match his energy level. With daily walks, he will fit into just about any home! Zeus is extremely agile (even with his one eye) he loves agility equipment and will clear a 4-foot fence without a problem. 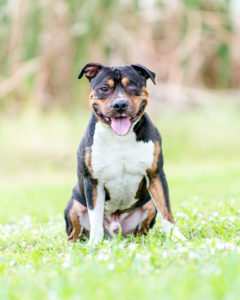 Zeus greets other dogs very nicely on leash and loves to give other dogs lots of kisses. He isn’t appropriate for dog park trips due to his tendency to mount other dogs and get carried away. He would be good with another dog at home as long as that dog is even-tempered and tolerant. He is good with calm cats but may be inclined to chase them if they run. Zeus loves all people of all ages and would be a great companion for anyone looking for a fun active boy. 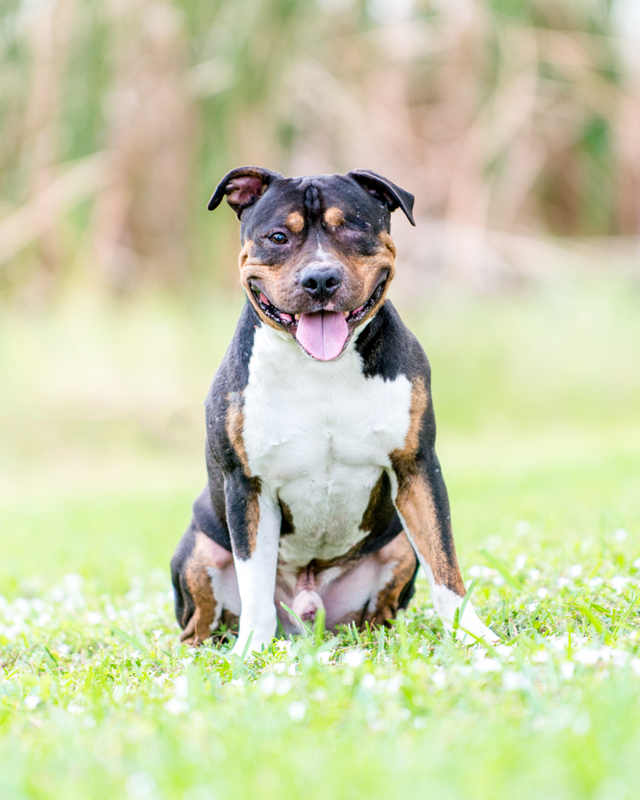 If interested in Zeus please contact us at training@applauseyourpaws.com or give us a call at (786)529-7833.